To celebrate this first weekend of October, I decided to use some of the apples that have been sitting in a bowl on our counter and turn them into something sweet and autumnal. This dessert is a play on the ubiquitous dessert made with the most well known of Hawaii’s produce: the pineapple upside down cake. For this dessert, I made an apple cider cake. Genuine apple cider, like the type I was accustomed to drinking every fall as a kid growing up in Pennsylvania, is very hard to come by in the islands, so instead of traditional apple cider I used Reed’s Natural Sparkling Spiced Apple Cider. I am a big fan of Reed’s ginger drinks, and I have found that their apple cider is pretty tasty. I have not baked with a sparkling or carbonated beverage before, so this was an experiment in baking, of sorts. One of the cake layers came out of the oven with a small puka (hole) in it, which I attributed to some carbonation escaping during baking. 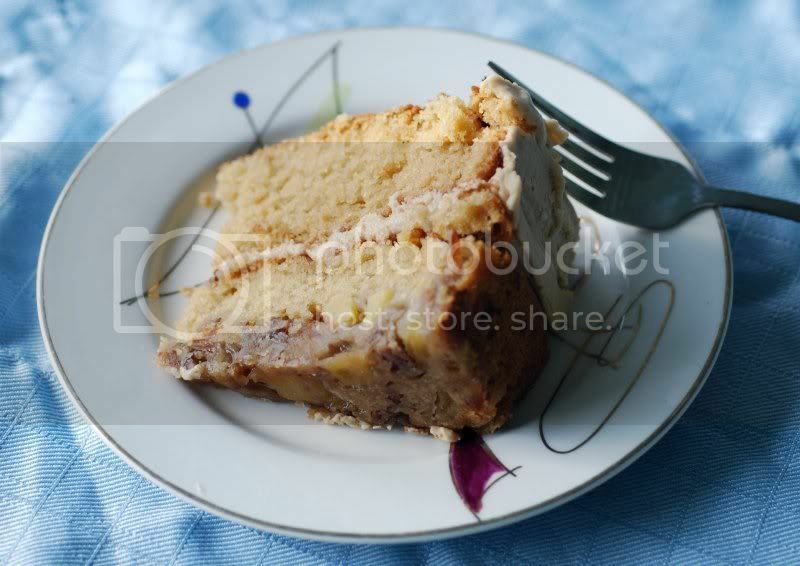 Regardless of the puka, the cake turned out deliciously – I was really, really pleased with it. So was everyone who had it after dinner last night. I am really happy to be back to blogging, and am happy that this is my recipe to return with. This past year has been one in which I have struggled to find balance in all aspects of my life: meeting the high expectations I have for myself in my work, finding time for play (stand up paddle boarding, free diving, hiking, camping, traveling, reading, enjoying movies …), healthy living (making food at home, exercise, mindfulness …. ), and creative pursuits (cooking, photography, fabric crafts, crocheting, writing, teaching myself to play the ukulele…). Several things, including this blog, fell off of my plate. In the past few months, Dan and I have moved (a very short move, but into a much bigger place), inherited a very sweet 13 year old puppy, have both been promoted at work and are taking on greater challenges, and have set new goals for ourselves. We find ourselves very immersed with our jobs, but we feel so fortunate to be able to do the work that we do, to work in such a fantastic place, and to work with the creative and hard working people that we get to work with. I hope that each of you experience the same joys and challenges in your work, as well. Those new goals of ours, though, revolve around balance – and hence I am happily returning to many of the activities that I love. Now, let us all eat cake. 2.Cream together the Earth Balance and sugars until light and fluffy. 3. Mix together the soy milk and apple cider vinegar, set aside. 4. Sift together all dry ingredients into a second mixing bowl. 5. Add vanilla to butter mixture and mix until incorporated. 6. 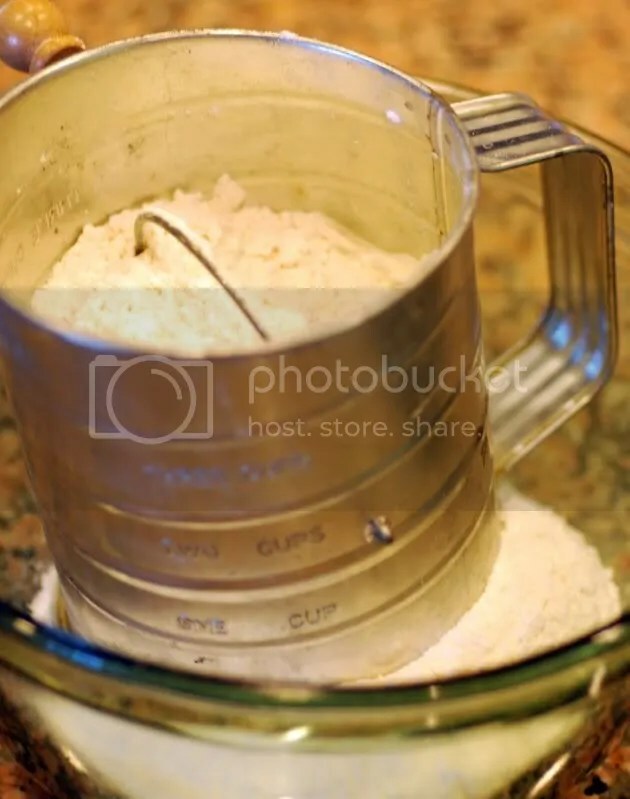 To the butter mixture, add the following: a third of the dry mixture, then the soy milk mixture, another third of the dry mixture then the apple cider, and, finally, the rest of the dry ingredients. Mix until well combined. 7. 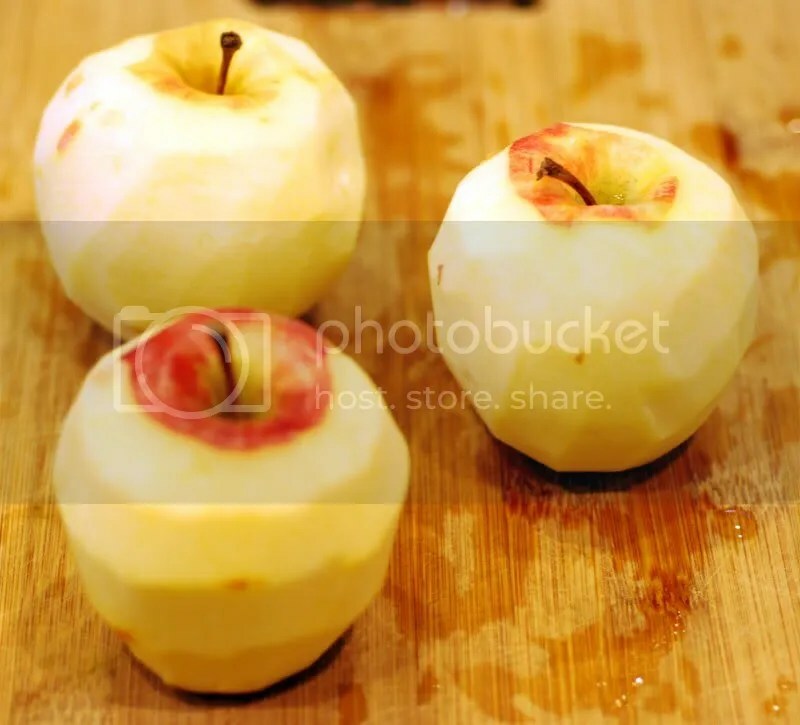 Combine all of the apple mixture ingredients into a separate bowl and stir well to combine. 8. Spray the cake pans with oil. Place parchment paper in the bottom of one, and then layer in the apple mixture on top of the paper. 9. Pour the cake batter into the pans, using less in the pan with the apple mixture. 10. 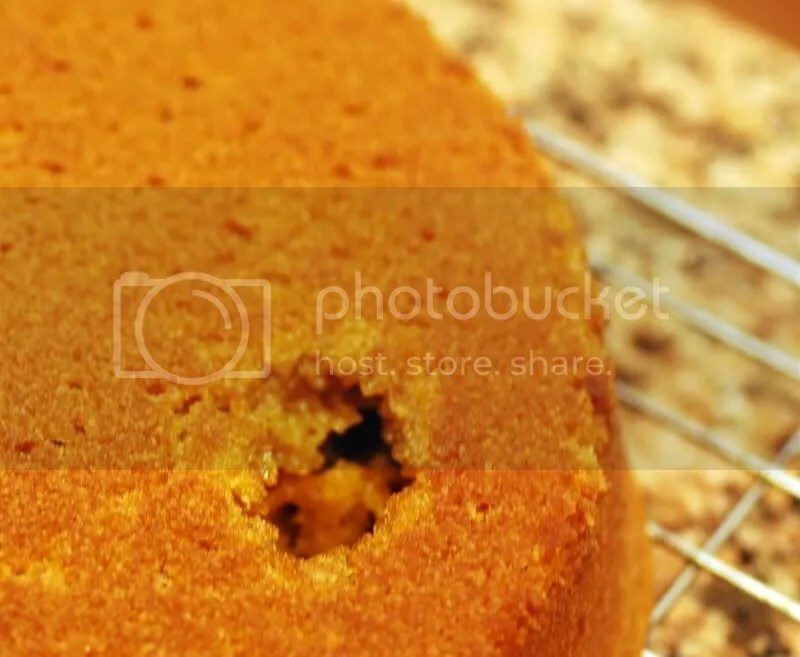 Bake for 40-45 minutes, or until a toothpick inserted into each cake comes away clean. 11. Let the pans cool on a rack for 10 minutes. Lightly run a butter knife around the edge of the cakes, turn out, and let cool completely. 12. 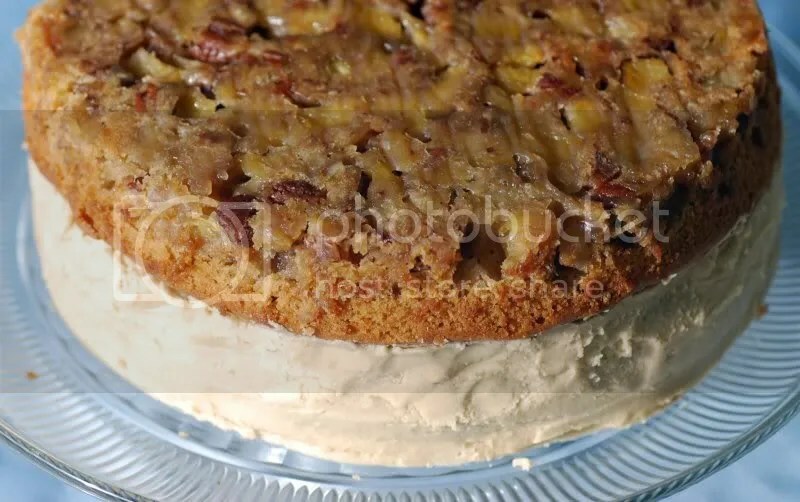 Run a serrated knife along the edge of the cake layer without the apple mixture to remove the crunchy edge. Apply a thin layer of frosting (recipe follows) to the sides and top of this layer, reserving a bit of the frosting for finishing the cake. 13. Place the layer with the apple mixture on top of the frosted layer. Use the reserved frosting to fill in the edge between the two layers. Slice, serve, and enjoy! 1. Melt the butter in a small pan over medium heat. Stir in the brown sugar and stir until melted. Add the soy milk, bring to a boil, then remove from heat. 2. 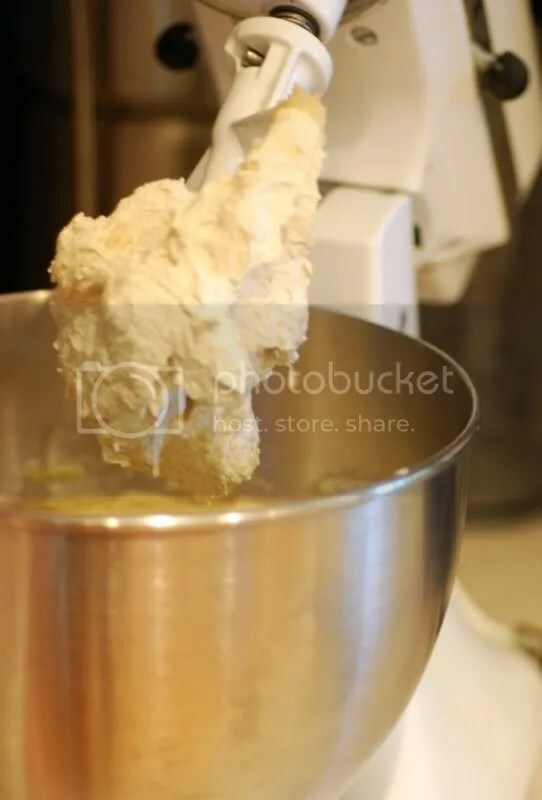 Place the EB butter mixture into a mixing bowl, then mix in the powdered sugar and vanilla. Mix until well combined. If the frosting appears thin, add in more powdered sugar. 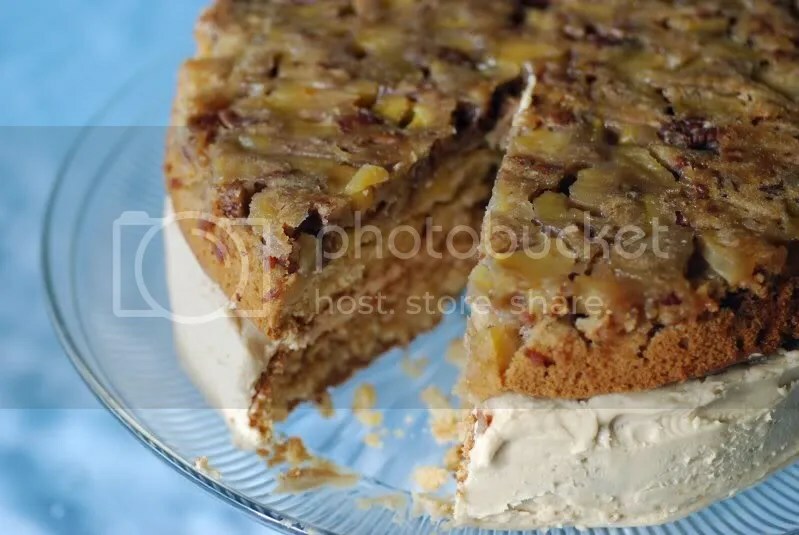 This cake looks beautiful & sounds delicious–definitely a great way to get back in the swing! I’m glad you’ve found balance; I know how hard that is…still trying to figure it out myself. 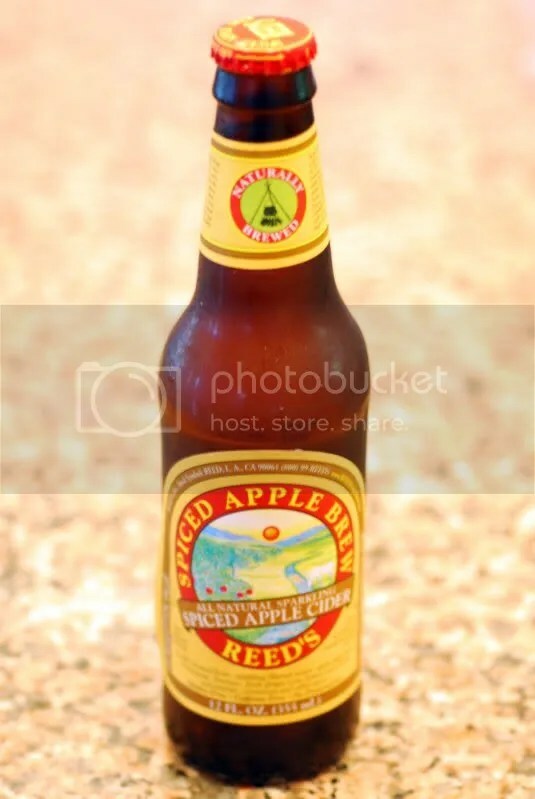 And I never knew Reed’s made a sparkling apple cider–I’m going to have to find it, it sounds really good. Happy October! a cup and a half of SUGAR??? and then in the filling 1/4 cup of sugar AND maple syrup. and then in the topping MORE SUGAR 1/2 cup and 1 3/4 cup? R U KIDDING ME??? and 1 cup of earth balance.. OMG.. this qualifies as a JUNK food if i ever saw one… and honey is not vegan either…. wow.. FAIL!!!!! You raise two important points: honey and nutritional value. I almost always use agave instead of honey, but in this case I did choose to use locally sourced honey – and I have added a note about it in the post. Also, I made no claims as to this being health food. It is dessert, a very decadent one, and is intended to be enjoyed in moderation, which I trust the reader to determine for them self. While I appreciate that you brought to my attention two relevant points, in the future if you choose to comment here I ask that you do so in a respectful manner that promotes discussion rather than in what appears to me to be a disrespectful tone of judgment. Mahalo. This cake is delicious, and was never touted as vegan health food. I am going to grab another piece right now. No cake for Joe, he FAILS at leaving positive comments on a friendly blog. It’s so great to be back! I miss fresh apples from the orchard (along with that traditional style cider). I hope that you are enjoying all of the wonderful things that October brings!